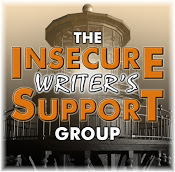 ← #IWSG February 2018: Time to get on with things. It’s ages since I’ve written one of these posts, and I was quite excited when I realised the next character on my lists is Kait Galweigh from Holly Lisle’s Secret Texts trilogy. Kait is such a cool character. She’s tough, she’s clever and she works to her own moral code. We first meet her in book one, A diplomacy of Wolves, when she is chaperoning her cousin at a party. Should be simple, right? But it’s Kait’s first major role as a family diplomat, and her cousin is behaving as wildly as possible rather than the demure, virginal marriage prospect she’s supposed to be. And Kait has a secret. She’s not completely human, and if anyone finds out, she’s dead. Even her own family won’t protect her. But the plot of a rival family is about to destroy the world she knows, and the magic in her blood may be all that can save her. That, and an uneasy alliance with an enemy. If you like strong female characters, (actually, strong male characters too – let’s not be picky, and there are some awesomely good baddies), a bit of were-action, transformative magic that has consequences (and boy – you don’t use it lightly in this world!) then it’s really worth meeting Kate and her crowd. This entry was posted in A-Z of Fictional Characters and tagged A Diplomacy of Wolves, A-Z of Fictional Characters, Holly Lisle. Bookmark the permalink.